Love doesn't need to be cured. We have the capacity to live in a relationship in love. 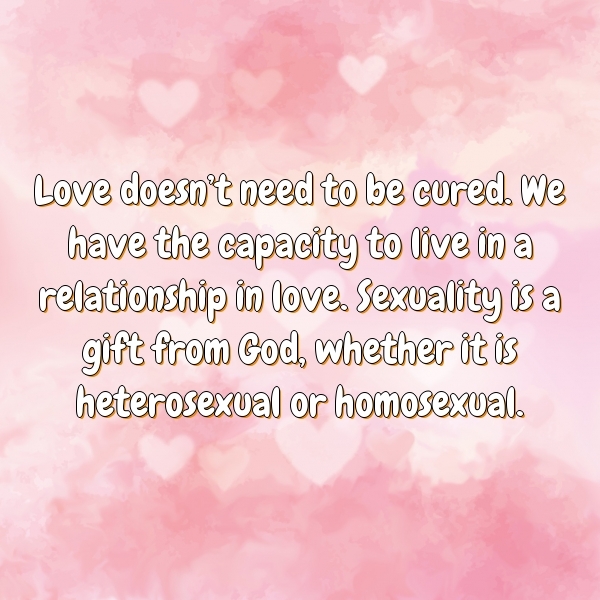 Sexuality is a gift from God, whether it is heterosexual or homosexual.